In powerful black-and-white comic strip images, Satrapi tells the story of her life in Tehran from ages six to fourteen, years that saw the overthrow of the Shah’s regime, the triumph of the Islamic Revolution, and the devastating effects of war with Iraq. 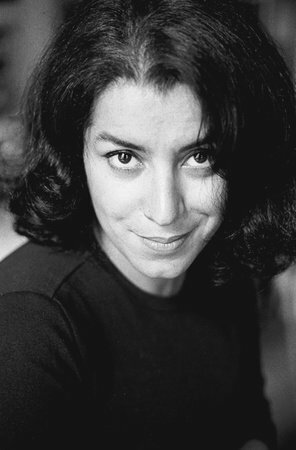 Marjane Satrapi was born in Rasht, Iran. She now lives in Paris, where she is a regular contributor to magazines and newspapers throughout the world, including the New Yorker and the New York Times. She is the author of Persepolis, Persepolis 2, Embroideries, Chicken with Plums, and several children’s books. She co-wrote and co-directed the animated feature film version of Persepolis, which was nominated for an Academy Award for Best Animated Feature. 1. The New York Times hails Persepolis as “the latest and one of the most delectable examples of a booming postmodern genre: autobiography by comic book.” Why do you think this genre is so popular? Why did Satrapi chose this format in which to tell her story? What does the visual aspect add that a conventional memoir lacks? Have you read other graphic memoirs, such as Maus by Art Spiegelman or Joe Sacco’s Palestine? How is Persepolis different and/or similar to those? How does Persepolis compare to other comic books? Would you call this a comic book, or does it transcend this and other categories? Where would you place this book in a bookstore? With memoirs, comic books, current events? 2. Written as a memoir, is Persepolis more powerful than if Satrapi had fictionalized the story? Why or why not? Compare this book to other memoirs you have read. What are the benefits and drawbacks of memoirs? 3. In an Associated Press interview, Satrapi said, “The only thing I hope is that people will read my book and see that this abstract thing, this Axis of Evil, is made up of individuals with lives and hopes.” And in her introduction to Persepolis, she explains that she wrote this book to show that Iran is not only a country of “fundamentalism, fanaticism, and terrorism.” How does Satrapi go about challenging this myth? How does Persepolis dispel or confirm your views on Iran? In what ways does reading this book deepen your understanding and knowledge of Iran, and the current situation in Iraq? 4. How is Persepolis organized and structured? What has Satrapi chosen to emphasize in her childhood? How is the passage of time presented? Describe Satrapi’s drawings. How do the drawings add to the narrative of the story? 5. Describe the writer’s voice. Is it appealing? Which aspects of Marji’s character do you identify with or like the most, the least? Did your reaction to the little girl affect your reading experience? 6. How did the revolution exert power and influence over so many people, including many educated and middle class people like Satrapi’s parents? Why did so many people leave after the revolution? Why do you think Marji’s parents send her off to Austria while they stay in Tehran? Why don’t they leave/escape as well? 7. “Every situation has an opportunity for laughs.” (p. 97) Give some examples of how the ordinary citizens of Iran enjoyed life despite the oppressive regime. What made you laugh? How does Satrapi add comic relief? How are these scenes relevant to the story as a whole? 8. What kinds of captivity and freedom does the author explore in Persepolis? What stifles or prevents people from being completely free? How do they circumvent and defy the rules imposed on them and attempt to live ordinary lives despite revolution and war? Give some examples of their small acts of rebellion. 9. “In spite of everything, kids were trying to look hip, even under risk of arrest.” (p. 112) How did they do this? What do you think you would have done had you been a child in this environment? What acts of rebellion did you do as a teen? In way ways is Satrapi just a normal kid? 10. What does Satrapi say regarding disparity between the classes before and after the Iranian Revolution? Discuss some examples that Marji witnesses and contemplates. 11. At the core of the book is Marji’s family. What is this family like? What is important to Marji’s parents? What environment do they create for their daughter despite living under an oppressive regime and through a brutal, prolonged war? From where do they get their strength? 12. What is the role of women in the story? Compare and contrast the various women: Marji, her mother, her grandmother, her school teachers, the maid, the neighbors, the guardians of the revolution. 13. Discuss the role and importance of religion in Persepolis. How does religion define certain characters in the book, and affect the way they interact with each other? Is the author making a social commentary on religion, and in particular on fundamentalism? What do you think Satrapi is saying about religion’s effect on the individual and society? 14. In what ways is Persepolis both telling a story and commenting on the importance of stories in our lives? What does the book suggest about how stories shape and give meaning to our experience? Discuss some of the stories in Persepolis—Uncle Anoosh’s story, her grandfather’s story, Niloufar’s story. 15. What is Satrapi suggesting about the relationship between past and present, and between national and personal history? What role does her family history, and the stories of her relatives, play in shaping Marji?